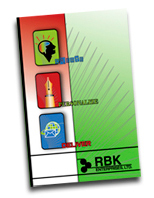 RBK Enterprises, Ltd. (RBK) is a third generation family owned and operated business. We provide digital and offset printing, direct mail, and bindery services. 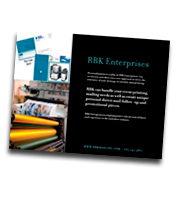 Established in 1981 in downtown Chicago, RBK began as an in-house printing and mailing company. As our list of services and clients grew, so did our facility. 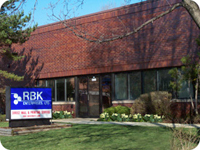 In 1991, RBK relocated to a 11,000 square foot facility in Lisle, Illinois. As a full-service printing and direct mail company we always focus on providing personalized service with quality results. Our commitment is to helping you achieve fast, efficient and cost-effective delivery of time-sensitive material. Please explore our promotional marketing pieces. 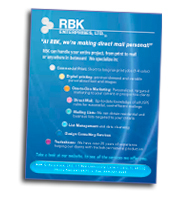 Find out more about RBK and all the services that we offer. Feel free to download them. We balance price with performance. We never sacrifice quality.